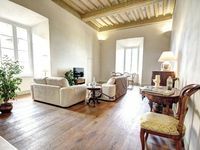 Property 2: In the heart of the Chianti, Tuscan vacation house with a shared swimming pool. Property 3: Beautiful stone house with garden and private pool. Federica was a great host. She recomended the hot springs of San Giovanni in Rapolano and we had a wonderful time there. It was only 25mins from her appartment. The appartment was clean and confortable. Overall a great stay.